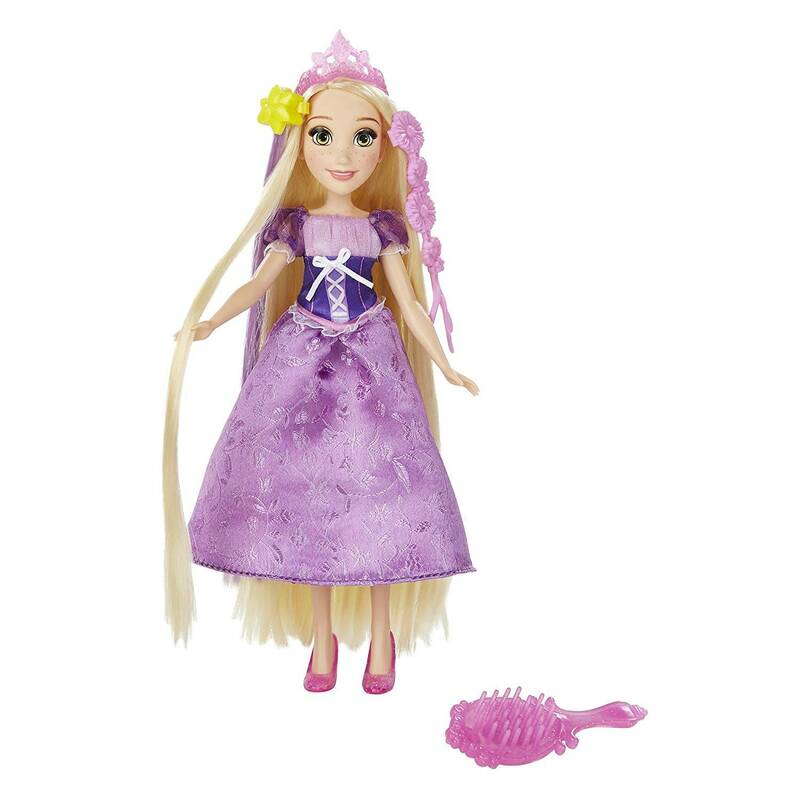 The Long Locks Rapunzel fashion doll appears as radiant as ever in her iconic ball gown. Rapunzel's long and flowing, silky hair and oversized brush make for tons of hairstyling fun! 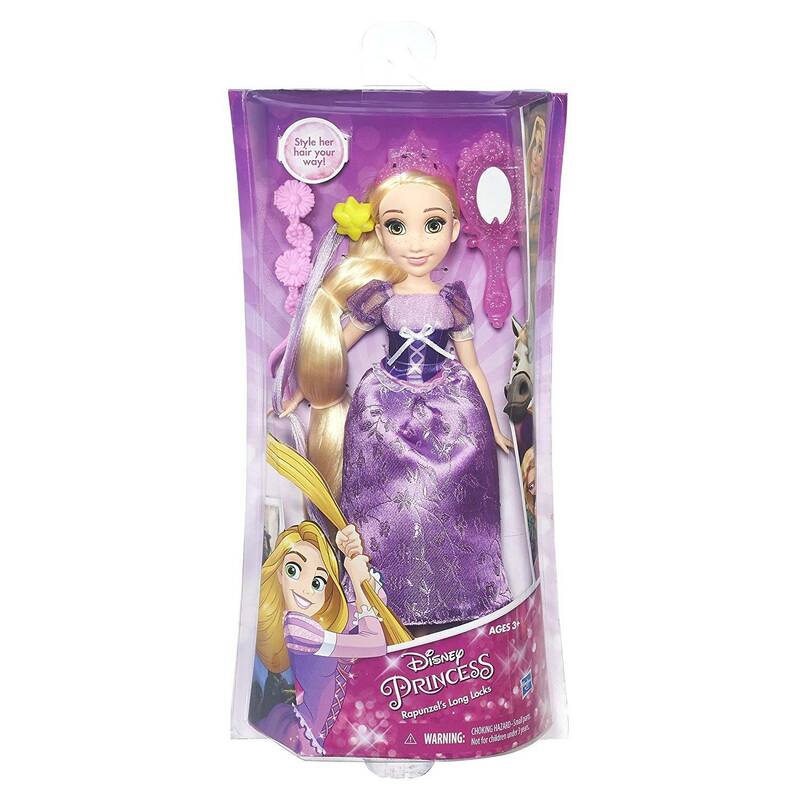 Girls will also enjoy styling the doll's hair with a shimmery wear-and-share hair extension and a decorative clip.